FORMON LLC is a Kosovar based company which produces state of the art Personal 3D Printers, also known as Desktop 3D Printers. The development of technological products in Kosovo and creating opportunities for youth to express their potential in technology. On October, FORMON was invited to present Desktop 3D Printer Formon Core at Digital Show, the exhibition that was organized from the biggest retail store of Desktop 3D Printers iMakr in Englan, London. Being part of this exhibition (fair) was the greatest marketing that we could done and present our product in front of best experts of 3D Printing. iMakr organize every year the fair where new comers are invented to present their new 3D Printers and their newest projects. This workshop prepares youth companies from across the world to present, meet new potential investitures, and put their products on iMakr stores. This trip was support also from IPKO Foundation who helped in the financial side. This was our first trip out our region and first time to be part of this kind of fair where we meet lots of our potential customers, and also lots of connections with companies that we will start to cooperation in a near future. 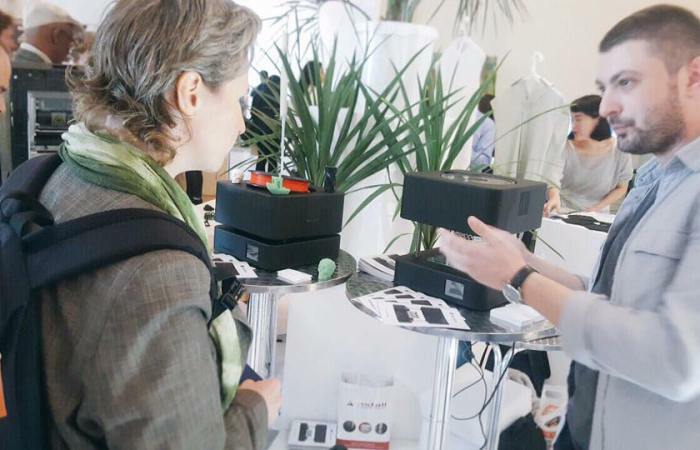 Formon team traveled in UK and presented Desktop 3D Printer Formon Core through lots of attendees who saw our potential as a young start up that would be able to compete with all other Desktop 3D Printers even those how are up to 5 years on market. We received feedback that also helped us to improve our product and bring higher quality. With the introduction of the Formon Core, we keep our promise to expand the 3D printing market. We strongly believe that once people start their 3D printing journey, they will see the value of the more innovative and sophisticated machines and materials that we will introduce from our new products. Founded on the burgeoning fusion between digital and physical technology, the Digical Show bring together 30 exhibitors, and 17 guest speakers from across the 3D printed world to the fair in Parsons Green, West London. Attendance was high, in spite of the rain, and the celebratory atmosphere that could be felt, as a result of the tropical theme of the show, gave people a chance to extend that ‘summer feeling’. It was a fantastic opportunity for us to meet industry experts, ask questions and learn about 3D printing. Presentation of Formon Core in Imark will open new doors for our company in the European market and will increase the potential impact to investors in our country in the field of technology, as the first hardware company in Kosovo and region, we have high potential to enter the European market in the field of new technology which is 3D printing, also to develop technology and to create new working places for youngsters. We think it is reasonable to fund these kind of companies because financing these kinds of trips or helping businesses to be part of various exhibitions we as a country can show the potential that we have and become part of the European market with our products.